Comedian James Veitch juggles his Radio 4 challenge series with other problems, but he may have found a solution. 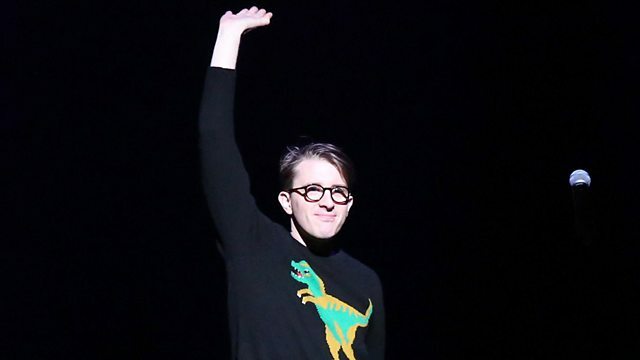 Comedian James Veitch is juggling his Radio 4 challenge series with other problems, but he may have found a solution. In episode two James attempts to solve his money troubles by setting himself the task of writing a successful Young Adults Novel. While discovering what makes a publishing phenomenon and how the genre has adapted to the online world, James' ambition for a multi-part movie deal clashes with his Producer's time concerns. James Veitch's TED Talk - "This is what happens when you reply to spam email" - was a massive hit. The voice of The Producer is Laurence Grissell. The actual Producers were Sam Peach and Viv Jones.